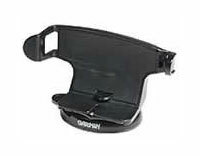 Garmin GPSMAP 276C/278 Automotive Mount (010-10485-00) €49.00 - buy online at mysatnav.ie - Ireland's leading GPS & Sat Nav store. This adjustable, automotive swivel mount turns your GPS unit into a in-car navigation system. Both temporary and permanent dashboard adhesive disks mount your unit securely to any flat surface in seconds.